The English-Bulgarian Dictionary contains more than 30 000 common words in contemporary English. It shows the differences in the spelling, pronunciation, usage, etc. between British and American English. 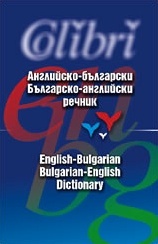 The Bulgarian-English Dictionary contains over 30 000 common words in contemporary Bulgarian.